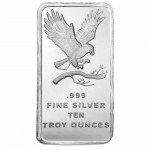 Silver.com is pleased to offer these 10 oz Atlantis Lion Hand Poured Silver Bars in brand new condition. For fans of poured silver, these bars are eye-catching and unique in their design. Each bar is cast in 10 troy ounces of .999 fine silver. The Atlantis Mint is renowned for its high-quality hand poured silver products which have become popular with collectors as well as investors. Whether you’re saving for retirement or simply for a rainy day, investments in precious metals like silver remain a trusted method for maintaining and building wealth. 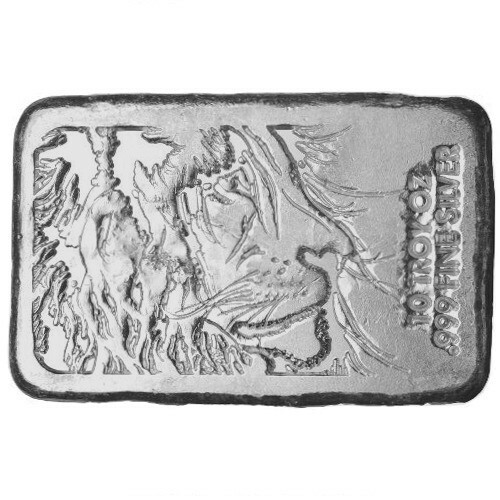 As customers will see, the 10 oz Atlantis Mint Lion Hand Poured Silver Bars showcase an extraordinary lion design. The majestic profile of the King of the Jungle and its vibrant mane are standout features of this bar. Although these bars are certainly investment worthy, they are ultimately too striking to sit in a box. You’ll likely want to display this work of fine artistry, so exquisite for the strength of the lion’s character it denotes. Silver.com will ship out each 10 oz Atlantis Mint Lion Hand Poured Silver Bar quickly and fully insured. Tracking is also included on all orders to insure that our clients’ investments are fully protected. 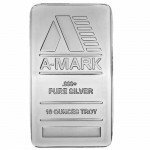 Additionally, these bars will be shipped just as we receive them from the Atlantis Mint, so customers can depend upon their brand new condition and authenticity. Silver.com can be reached over the phone by calling 888-989-7223 as well as online through the live chat feature or by completing our online contact form. Orders can be placed securely online 24×7 or over the phone during business hours as well. 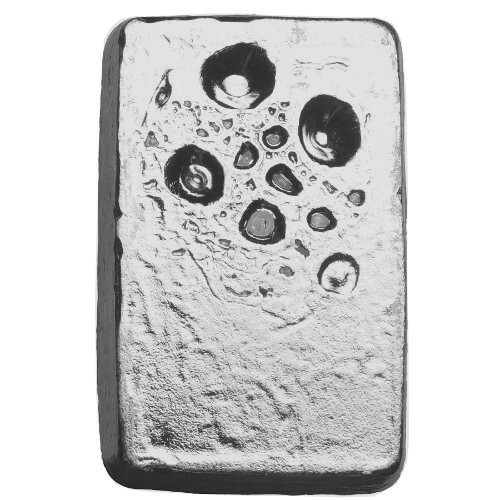 Make sure you browse through our complete selection of poured silver bars for more unique pieces.